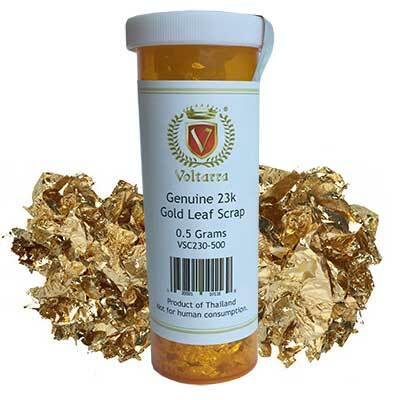 These Mini Bundles give you 100 small loose gold leaves, available in 23k and 24k. They are ideal for small projects or for patching. The smaller size is much easier to handle and control with a gilders tip. Each small leaf is in its own individual piece of paper, from which can easily be handled. Each Mini Booklet contains 100 leaves that measure 1 3/8” square. Only available in loose leaf.